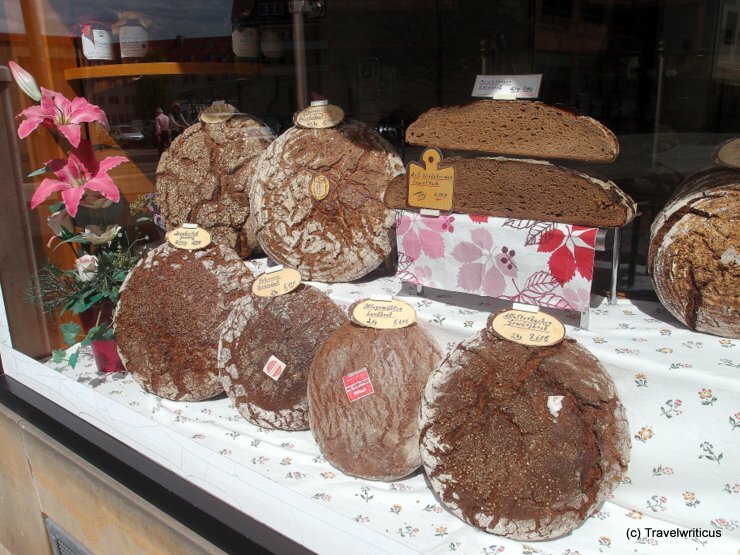 I had known Nuremberg is famous for its Lebkuchen but I was surprised how many sorts of bread this bread store (Feinkost Nikolaus Schwarz) is offering. Amazing how different the outer crusts and the crumbles of each loaf look like. And yes, I always love a good piece of bread. What about you? This entry was posted in Cuisine, Shops and tagged Bavaria, Germany, Nuremberg by Travelwriticus. Bookmark the permalink.